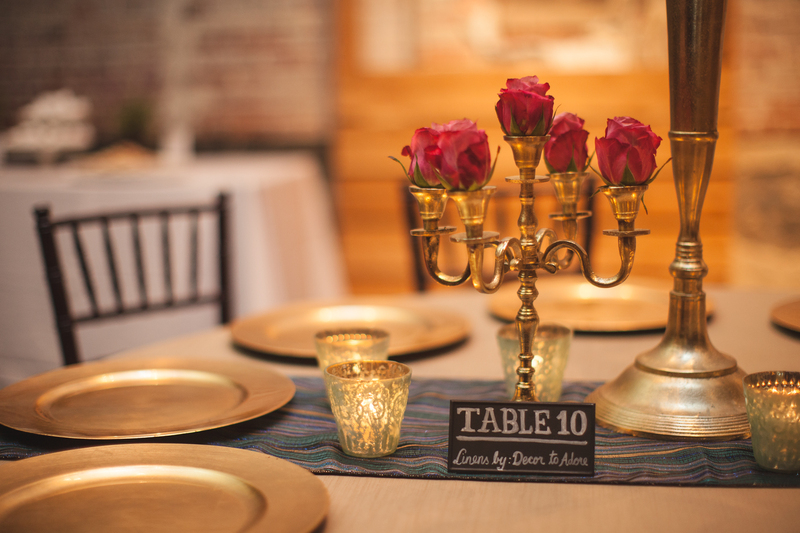 Wedding trends are constantly evolving, but year after year we come back to the classic gold accents. 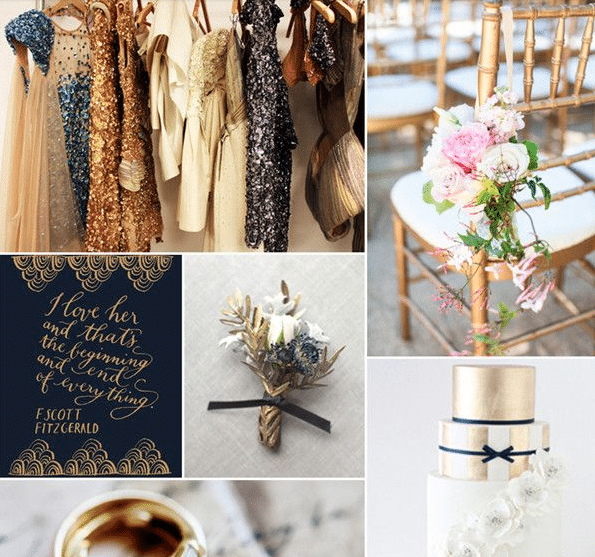 Every shade of gold from rose to yellow are included in the the wedding trends 2015! 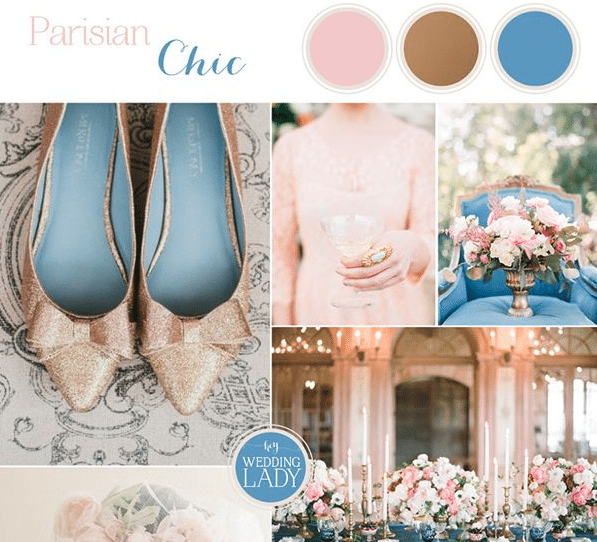 From rose gold engagement rings to gold candelabras you cannot go wrong with gold! Pinterest is full of great ideas to help you come up with tips for your gold accented wedding. 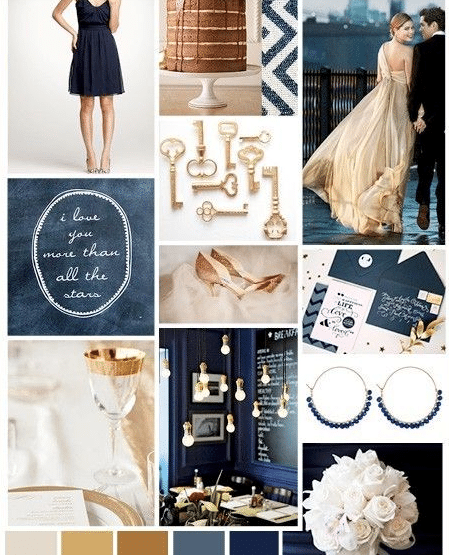 We love these collages that highlight our colors of the month, blue with gold accents. 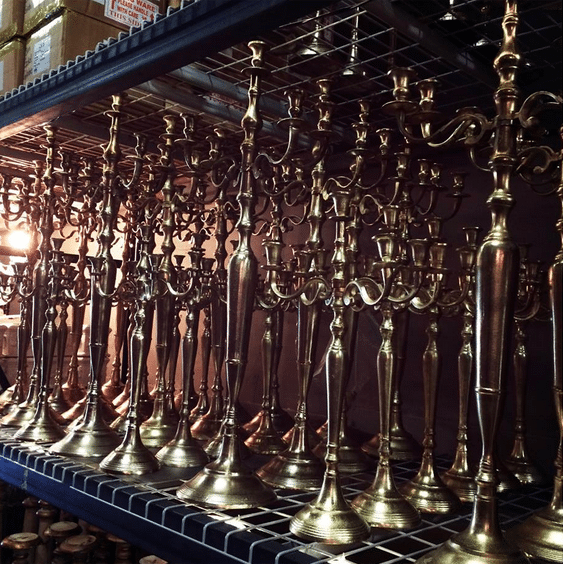 A hot item from our friends at PropHouse Birmingham are these gold candelabras. They are fully stocked! Here is a small PropHouse candelabra in action at the 2nd Birmingham Not Wedding. 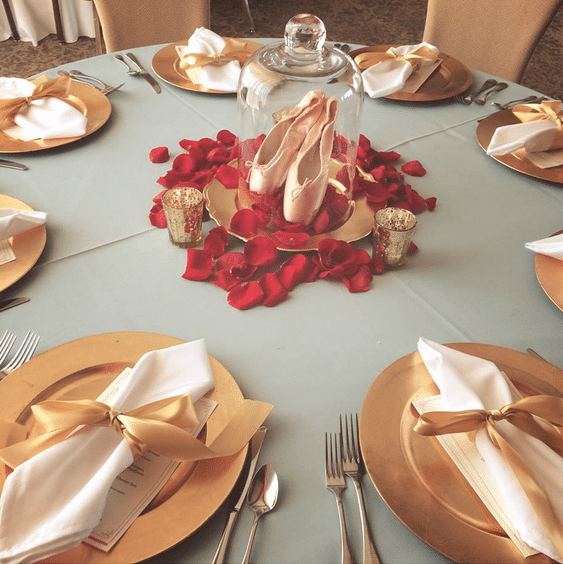 How lovely is this centerpiece from PropHouse for the 2015 Pointe Ball at The Club?